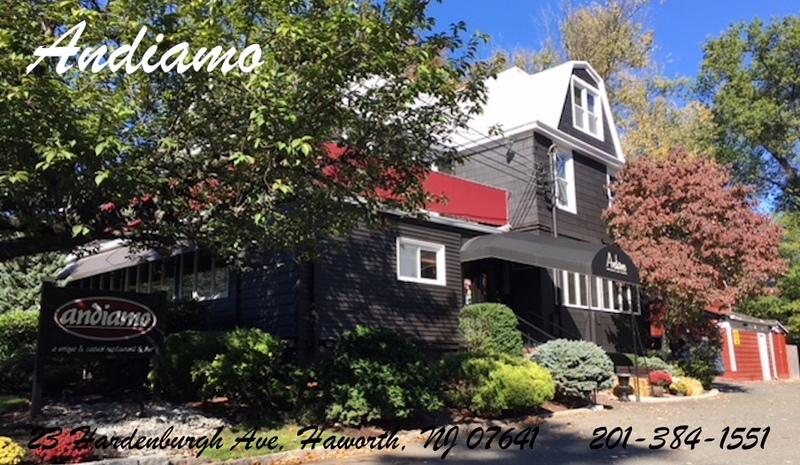 Feel like our family, in our family owned Restaurant & Bar run by Don, his son Alan, and Don’s wife, Chef Linda, who have been pleasing their clientele for close to 25 years! Our casual atmosphere & comfortable bar attract a pleasantly diverse & VERY friendly crowd, where you can dine, or just relax with one of our many signature cocktails….The Andiamo Lemonade, our House Infused Pineapple Vodka Cosmo, a huge array of martinis, and a new surprise drink almost every week! We pride ourselves in our wine list, where we are always introducing new California wines, both by the bottle & glass. Zagat has called our weekly special dishes, “Specials that are TRULY Special!’ Chef Linda comes up with a new special menu every week that is no less than creatively spectacular. Our regular menu is extensive with Italian & American dishes, including Prime meats, fresh fish, over 20 pastas, and unequivocally the best thin crust pizza in New Jersey! Andiamo is available for private parties for any occasion and we can customize your menu to fit any taste & budget. Please look over our Catering section for a sampling of what we offer. Don or Alan will be glad to sit down with you at any time, and make sure that your event is spectacular! Please check out our event page for upcoming Music nights, and our famous Comedy & Dinner Shows. We hope to see you soon! 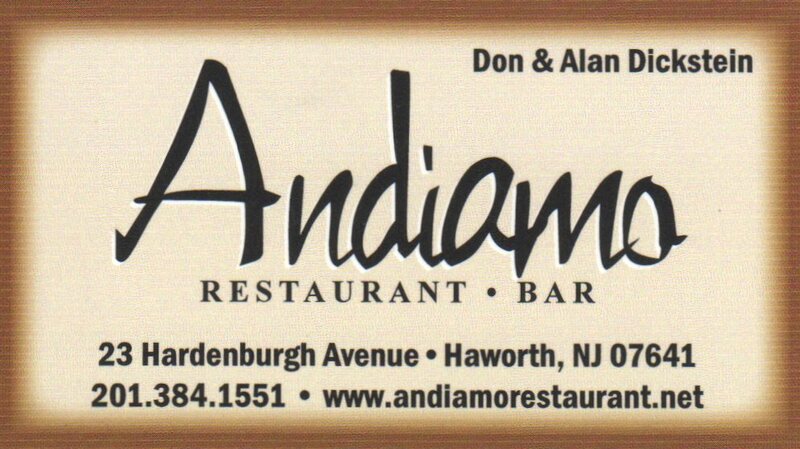 Thank you for your interest in Andiamo Restaurant!